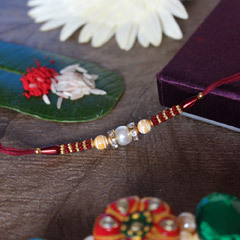 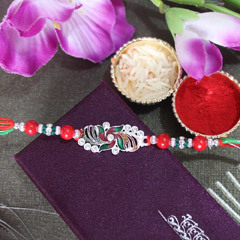 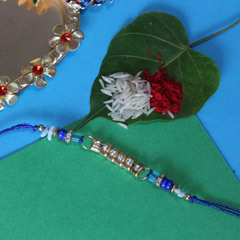 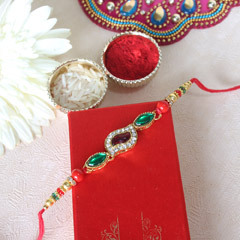 Colorful and Silky Resham Dhaga Rakhi to Choose for Your Bro! 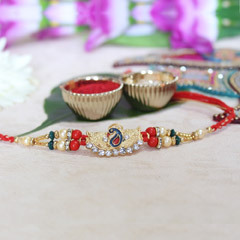 Rakhi is the thread of love that sisters tie on the wrist of her dearest brother on Raksha Bandhan and assure to protect her from evil forces. 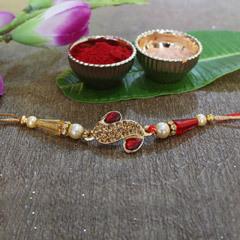 So when it comes to making choice for a Rakhi thread, it needs to be something very beautiful and unique. 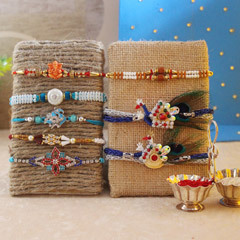 Here in the range of Resham Dhaga Rakhi for brother, you will come across a wide variety of Rakhi options to choose such as 1kg Rasgulla With Rakhi Hamper, Rakhi with Big basket of Dryfruits, An Affectionate Rakhi Gift, Rakhi with cake and chocolate, Rakhi Choco n Almonds, Greeting Card with Dryfruits, Mouthwatering Rakhi Hamper and lot many other varieties to explore. 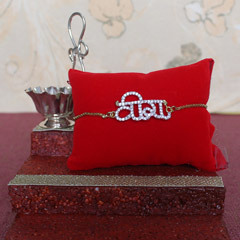 Rakhi is a day to show love and care that you have for your brother. 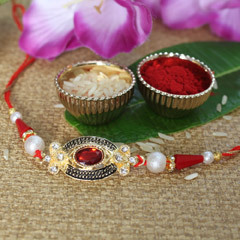 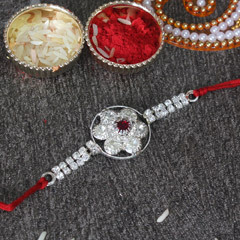 This portal allows you send Resham Dhaga Rakhi online to your brother residing in or out of India and bring good health and prosperity to your brother. 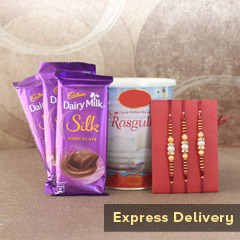 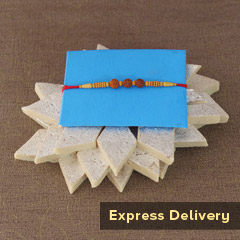 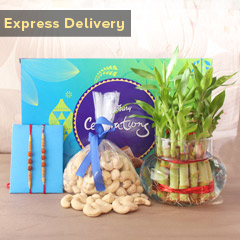 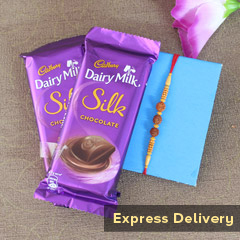 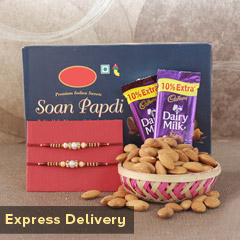 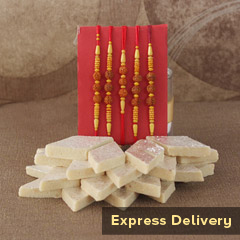 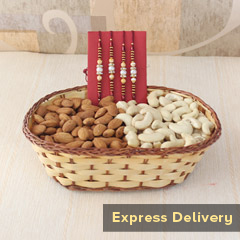 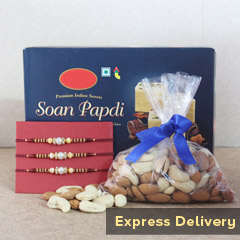 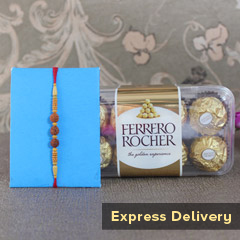 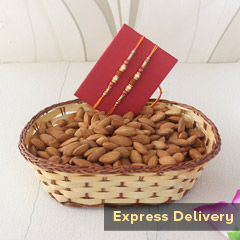 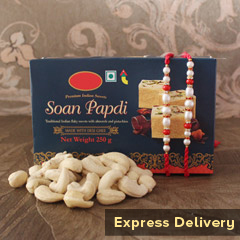 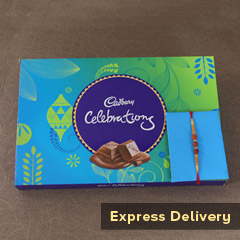 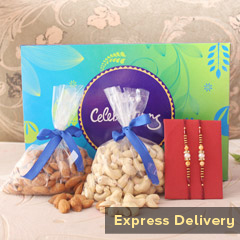 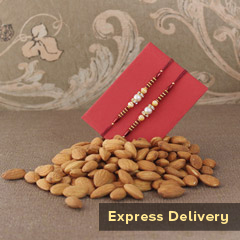 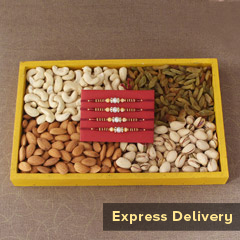 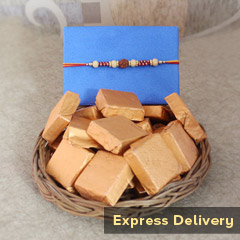 Not only this, it gives you facilities to send rakhi gift hampers to all small and big cities of India. 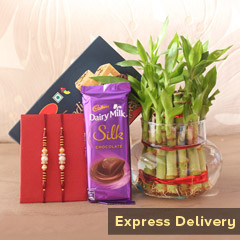 One can avail the benefits of Express Delivery services from us at a reasonable price. 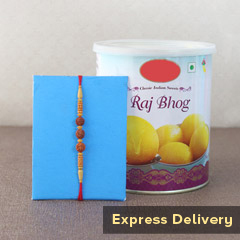 Thus, by availing hassle-free services for sending Rakhi to your sweet and lovable brother, you can make him feel special on this Rakhi.